TUFTS UNIVERSITY UPGRADES COHEN AUDITORIUM TO BE A FLEXIBLE, MULTIPURPOSE VENUE WITH A PROFESSIONAL AV SYSTEM. 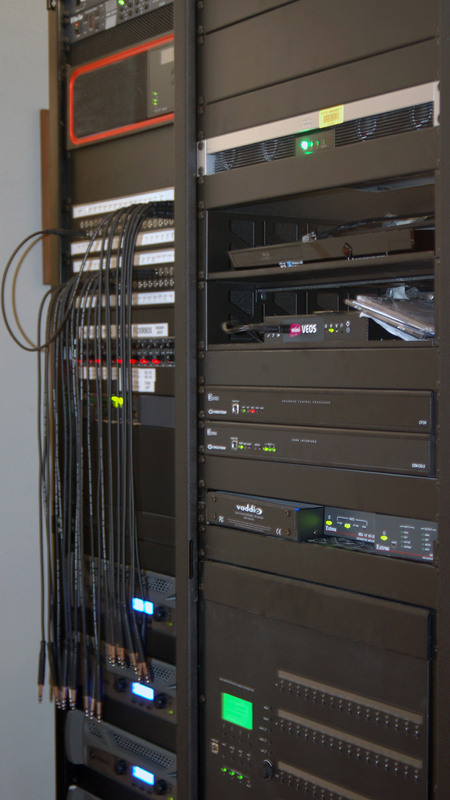 The Cohen Auditorium at Tufts University underwent a significant renovation summer 2013 and Red Thread was tasked with upgrading the audiovisual components into a sophisticated, state-of-the-art system. 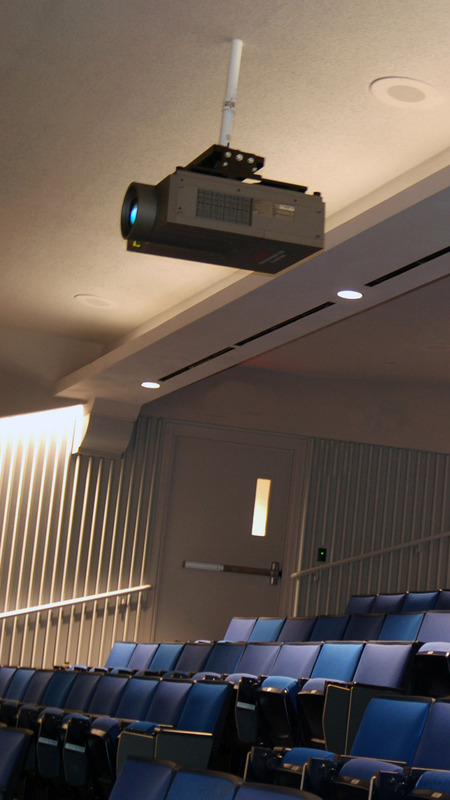 Tufts realized the need for a comprehensive audiovisual solution that had seamless functionality for a wide range of events from lectures to professional theatrical performances. The solution features a LCD Eiki 10,000 lumen projector, a sound system with 2 JBL clustered high fidelity speakers combined with Bose surround sound speakers, and a wireless intercom system. The Crestron touch panel provides unified system control of the components at the lectern, in the control booth, and backstage, supporting performances and presentations with annotation as well as recording, archiving and streaming of content.